This program is for boys and girls who are at least 14 years old by June 15, 2019. The CIT Program is four weeks long and will be held twice during the summer. Only the second session is open to 14 year olds. 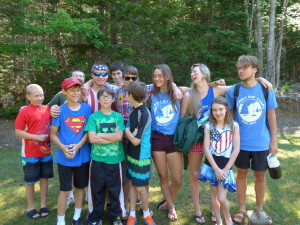 This program is selective and progressive as you spend the summer moving from a camper toward a terrific Junior Counselor and Counselor in future years. Note: tuition is the same for Hancock county residents and non-Hancock county residents. Applicants who wish to be considered for this program are expected to make a firm, four-week commitment. Those who are selected to participate in this program are also eligible to travel to and from NDC on the camp bus at a reduced rate. This is a wonderful opportunity to take on new responsibilities, learn new teaching skills and practice emerging leadership skills in a safe and nurturing environment. You will have fun doing some daily activities developed just for your group that are separate from your training activities. Spend time working toward certifications such as Community First Aid and CPR, as well as Junior Lifesaving or Basic Water Safety. Take part in CIT workshops on child development, camp safety and the best practices in counseling, teaching and being role models to young campers. Spend a small amount of time in Nichols and/or Scamp Program activity periods observing (and later helping) counselors. Meet with your CIT group and Counselor to discuss your experiences in the activity area you visit, what you have learned, what good counseling looks like and how to emulate it when you return to practice your skills the next day. Spend time every day with other CITs doing a fun, traditional camp activity or two developed just for you. 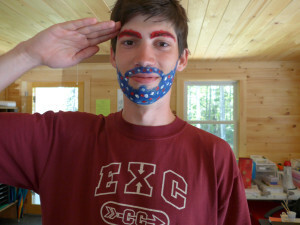 Being a CIT at Nichols Day Camp is a challenging and rewarding experience. Your days will be spent in a wide variety of activities. It is important to understand that being a CIT is a responsibility. Be sure that you are willing and prepared to meet the challenges presented in this program before you apply. Participate with enthusiasm! An important part of leadership when mentoring children is enthusiastic participation. Come to camp prepared to learn new skills and practice them in a safe, encouraging environment. Bring a positive attitude and a sense of fun as a role model. Be held to higher behavioral standards than campers. Show maturity in both actions and words. Have opportunities every day for fun activities just for those in the CIT program. If you and your Parents/Guardians think you are ready to take on the challenge of being a CIT, click on Registration on the Registration drop-down menu. 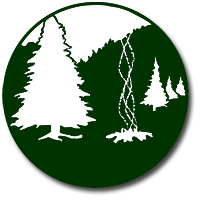 Towards the bottom of the Registration page there is a link to CampDoc. Click it, sign in to CampDoc, and then either enter as a new participant or select your name from the list if you are a returning camper. You will select CIT from the Registration Type drop-down menu. Parents/Guardians will need to fill out all the information as a regular camp registration and you will fill out the application section and print off the referral form for the person acting as your referral. That person should fill out the referral form and send it directly to the camp office. You will not need to put down the $50 deposit until you are accepted into the CIT program. The deposit is refundable if the ability to attend camp is based on receiving financial aid and the CIT applicant does not qualify for a Campership. Upon acceptance into the CIT Program, you will receive a welcome letter with more specific information about your schedule and completing your registration. If you do well in the program there will be an opportunity for you to apply for a staff position at Nichols Day Camp in the future! Thank you again for your interest in the CIT Program at Nichols Day Camp. We are preparing for a great summer learning experience and we hope you will apply to join us.